John Bowman has a gift; he knows how to craft the beautiful. He developed his craft by playing and singing with the best: Doyle Lawson and Quicksilver, Alison Krauss and Union Station, The Isaacs, and The Boxcars. He earned a Grammy nomination with the Boxcars, and his recent solo album was Dove nominated. 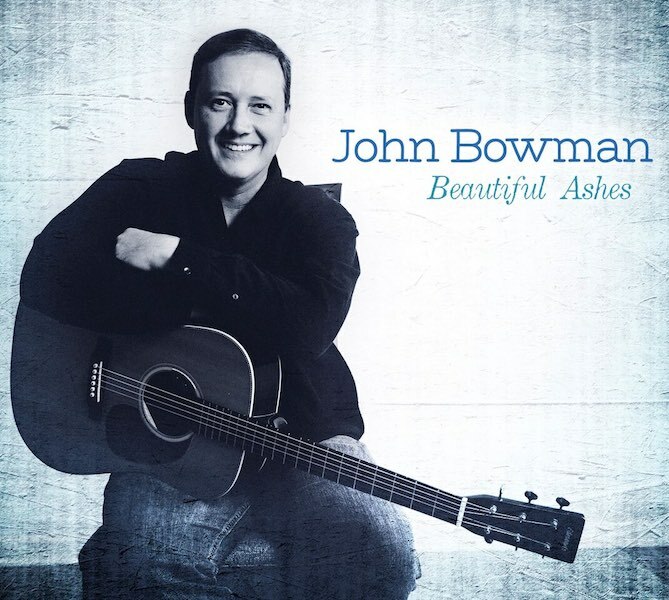 John Bowman’s voice has developed into a tone that, while soothing and calm, strongly motivates. His instrumental mastery (guitar, banjo, mandolin, and bass) is almost legendary, and his song choices and arrangements create packages like finely wrapped Christmas gifts according to his media outlets. This recording is a valuable part of the ministry God has entrusted me with. Every song has a special message for every listener whether they are believers or not – John Bowman. “Sweet River” is one of those very special songs— in the musical tradition of McCartney’s “Let it Be” and Dylan’s “When He Returns.” Just John and piano meditatively praying for God to break through that wall that separates. In some circles, a career building song. But in any event, not to be missed. Beautiful Ashes is likewise, a very special recording with songs presented in a very special way. He says it’s not just the culmination of all he has learned as a singer and musician, but all he has learned and can teach about living.